Hazeleigh Wood01621 826992work Forest or WoodlandGuided walks of ancient woodland, showing benefits of traditional management techniques, e.g. coppicing, charcoal burning etc. Diverse flora and fauna particularly bluebells, nightingales etc. Visitors also have a chance to try their hand on a traditional pole-lathe. Pre booked groups of 6 or more only. 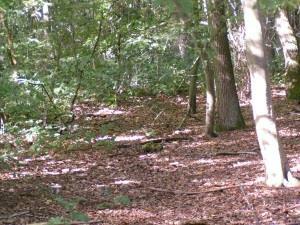 Guided walks of ancient woodland, showing benefits of traditional management techniques, e.g. coppicing, charcoal burning etc. Diverse flora and fauna particularly bluebells, nightingales etc. Visitors also have a chance to try their hand on a traditional pole-lathe. Pre booked groups of 6 or more only. Winner of Maldon District Council Nature Conservation Award 2009. Flexible opening but all tours must be pre-booked. Closed Christmas and boxing day. £3 per person (minimum 6 people). Group rate £50 up to max 25 people. A414 1 mile south of Maldon, turn left down Lodge Road. Take first left after 0.5 mile. Another 0.5 mile entrance on left.